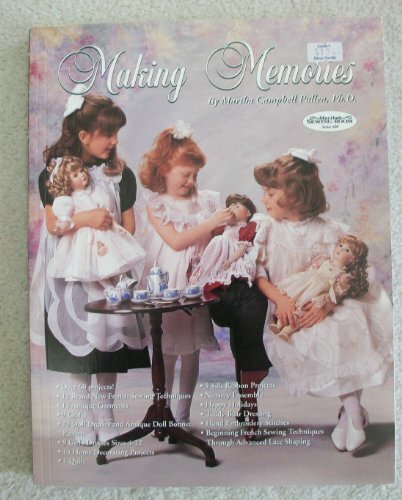 This book is an heirloom sewing and technique reference, a how-to-guide and pattern book. It is a companion guide to the PBS T.V. series Martha's Sewing Room that can be used alone or along with the series. There are both new and standard techniques included. A major feature of this guide is the section with beautiful illustrations and descriptions of the antique garments. There are over 60 projects included: *12 Brand new French sewing techniques *13 Antique garments *9 crafts *13 Doll dresses &amp; antique doll bonnet pattern *9 girl's dresses sizes 4-12 *14 Home decorating projects *1 Quilt *5 Silk ribbon projects *Nursery ensemble *Happy holidays *Teddy bear dressing *Hand embroidery stitches *Beginning French sewing techniques through advanced lace shaping Each project is pictured in color &amp; there are detailed how to instructions &amp; clear step by step drawings to guide you through creating your own beautiful heirloom &amp; craft projections. Full size patterns &amp; templates are also included.